Smith & Wilcutt, LLC is a full-service firm that provides dedicated representation to clients facing a variety of legal matters. For over 25 years, we have been serving the Bowling Green community by representing their cases and protecting their best interests. We are dedicated to helping clients navigate the complexities of the legal system so that they can move forward with their lives. No case is too big or small for us to handle, so do not hesitate to call for trusted legal counsel. Other firms treat their clients like just another case number. 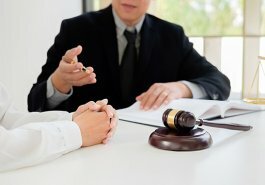 At Smith & Wilcutt, LLC, you will be treated as you deserve--like a real person with unique needs and concerns. Our attorneys will take the time to listen and truly understand your situation and goals. Your side of the story is important to us. Our lawyers are Kentucky natives and are well-versed in Kentucky's complex state laws. When you work with us, we will create personalized strategies for your case. Because we are committed to your needs, we make ourselves available to clients 24/7. Put a firm on your side that can effectively defend your rights and protect your future. At Smith & Wilcutt, LLC, our attorneys understand the importance of family and the emotional nature of legal conflicts. Keith Wilcutt has been through a divorce and knows first-hand the difficulty of balancing relationships without sacrificing your interests. We know that children come first and have the experience and knowledge necessary to help you get through this difficult time smoothly and quickly. If you have recently been arrested, you can rely on our team to aggressively defend your rights and fight for your freedoms. Attorney Smith and Attorney Wilcutt understand that facing criminal charges can be intimidating and overwhelming, but you should never face the Kentucky justice system alone. We have extensive experience in criminal defense law, and understand the diligence and dedication that successfully fighting charges requires. We pride ourselves on our enthusiasm and our work-horse approach to handling criminal cases that gives clients the confidence of knowing that we're on their side. Are you ready to move forward with your case? At Smith & Wilcutt, LLC, we understand that facing legal matters may be complicated, but we encourage you to retain our services right away. Working with our dedicated team can make all the difference in the outcome of your case. We offer reasonable fees, because we believe that quality legal counsel should be available to everyone. We will be available to you 24/7 and are committed to building personal relationships with our clients. This includes open and informative communication throughout the process. If you have questions or concerns regarding your situation or are interested in drafting a will or trust, we have the experience and knowledge that you need. If you're ready to get started, we're ready to help.